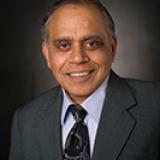 Ram M. Narayanan was elected IEEE Fellow in 2001, SPIE Fellow in 2004, and IETE Fellow in 2010. He is currently Member of IEEE Standards Committee for Ultrawideband Radar (UWBR) (2005), Associate Editor for Radar for the IEEE Transactions on Aerospace and Electronic Systems (2008), Editor for Antenna Characterization and Measurements for the IETE Journal of Education (2012–present), and Editor for Remote Sensing for Sensors. He received his B.Tech. degree from the Indian Institute of Technology, Madras, India, in 1976, and his Ph.D. degree from the University of Massachusetts, Amherst, MA, in 1988, both in electrical engineering. He served for 7 years in the communications industry in India (1976–1983) and 15 years as a faculty member at the University of Nebraska (1988–2003). In August 2003, he moved to the Pennsylvania State University where he is currently Professor of Electrical Engineering and Director of the Radar and Communications Laboratory. His current research interests lie in the area of RF and wireless systems, radar system design and development, radar signal processing, communications system design and development, radar networking, medical radar, and quantum radar. Two new topics he is working on are Sudoku-based sequences in radar and the concept of Information Elasticity. He has published 12 book chapters, 130 journal papers, and ~250 conference papers. He is currently working on a 2-volume e-book set on Noise Radar for Morgan and Claypool Publishers. He has graduated 27 Ph.D. and 44 M.S. students. Check out the incredible speaker line-up to see who will be joining Dr. Ram.